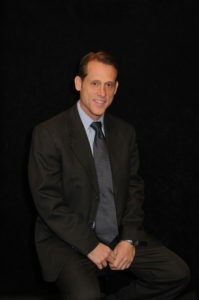 Scott Keiser, CNHA is the founder and CEO of Progressive Medical Concepts, LLC. He started PMC in 2005 in metro Atlanta with his wife Lauren who is a Registered Nurse. Together they have built a solid foundation with offices throughout the southeast. Scott earned his BS in Long Term Care Administration and BBA in Marketing from Southern Adventist University in Collegedale, TN and is currently licensed by the State of Georgia as a Certified Nursing Home Administrator. Scott completed his AIT program and first seven years of experience with Life Care Centers of America. One of his objectives was the opening of a brand new Nursing Center near Atlanta. Scott stayed in Atlanta and has served other companies including A.G. Rhodes Homes in downtown where he kicked-off a $2.5 M renovation. Scott is a member of the American College of Health Care Administrators and serves on a Federal Fiscal Advisory Board through a grant from the Woodward Foundation. Locally, Scott serves on the board of a start-up church and is a member of the Kiwanis Club.